Today, we got the first previews of the upcoming masters 25 set. Last time we had an (important) masters set, I made a prediction and preview thread, and I was pretty close. Before I get into this new set, let's see how I did last time. I was correct in this one. We saw an allied-color pair focused 3 color set, featuring Bant Tokens, Esper Blink/control, Grixis Graveyard, Jund Sacrifice, and Naya Beatdown. I was also fairly correct with this one. While we didn't get as many valuable uncommons as I would have hoped, we still saw Path to Exile, Inquizition of Kozilek, Might of Old Krosa, Serum Visions, Lingering Souls, Molten Rain, Ancient Grudge, Intangiable Virtue, Unburial Rites, the Signets, and Terminate. Nope. 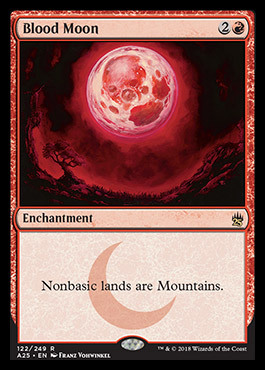 They printed the Fetchlands at Rare instead. To be fair, I was almost entirely sure that they wouldn't do either of these things, so I guess we should just be happy! So now, without further ado, the first Masters 25 previews and my predictions! So, we saw Jace, The Mind Sculptor, Azusa, Lost but Seeking, and an artifact creature with new art. How the heck can I make set predictions out of this. Well, I think we have a few clues just from the context of the cards we saw. For my prodictions, I will be using information that I have seen from the mothership and/or blogatog, but I won't necessarily be able to post links to the original posts. So without further ado, my predictions! In the post, wotc states that: Note the really cool watermark in Azusa's text box representing the original printing. Nearly every card in Masters 25 will have this treatment, even cards originally printed in Limited Edition (Alpha), Beta, and Unlimited! 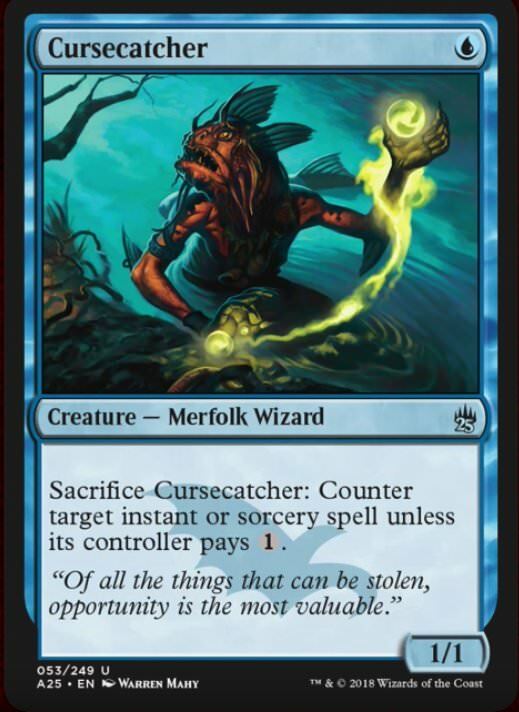 I think this means we will see cards from every Magic set. 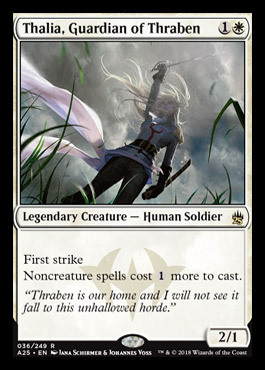 I don't know if we will see cards originating in the commander and planechase products, but that wouldn't surprise me. Prediction #2: Masters 25 will not have a specific focus for reprints, and will rather contain cards for players of every format. The previous Masters sets have all had a specific focus for what kind of cards they were reprinting. Modern Masters was about modern, Eternal Masters was all for Legacy and Vintage, and Iconic Masters was for Commander, Pauper, and (to a minor extent) cube! 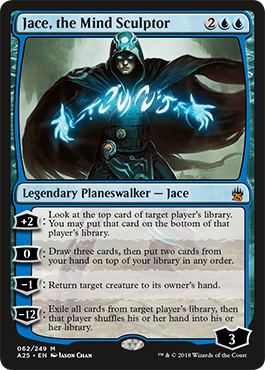 Jace, The Mind Sculptor and Azusa don't usually see too much play in the same formats, so I have a feeling this set will be for everyone instead of just a few people. Prediction #3: Masters 25 will contain an Artifact theme of some sorts. Much like my "Stoic Angel means 3-color" prediction from last time, I think a metal guy means artifact theme. The powerful artifacts of old did not make an appearance in Eternal Masters, so I think this would be a perfect place to see them. Imagine a union between the cool artifacts of the Urza block, fighting along side the Etherium-Masters of Esper, the Inventors of Kaladesh, and the Myr of Mirrodin. Wouldn't that be awesome? Iconic Masters was all about the Iconic Creature Types of the magic color pie (Angel, Sphynx, Demon, Dragon, Hydra). 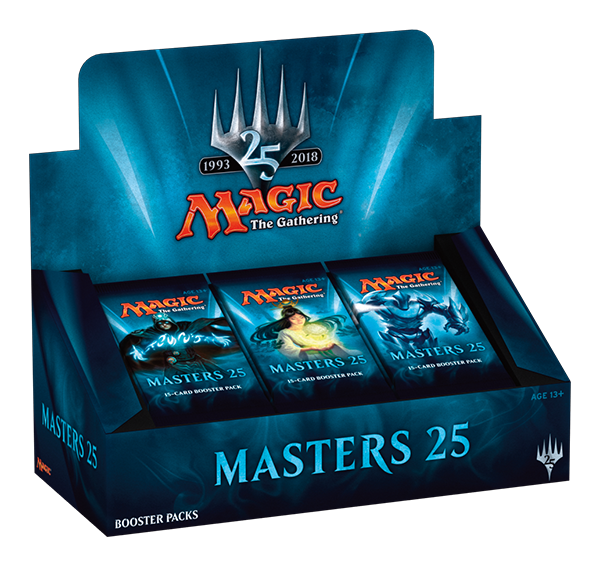 Masters 25 will be about the cards that are Icons of Magic, like Lightning Bolt, Jace, and Force of Will (maybe). Prediction #5: Masters 25 will contain some pauper staples! Who cares about all of those other formats and rarities, in this day and age, people only wanna use commons! Let's get those Qurion Rangers reprinted, maybe some of the Mirrodin Artifact Lands, and even some Mulldrifters if WOTC feels especially frisky. Wouldn't that be nice? That said, ever Masters set contains at least a few commons that end up seeing play in Pauper, so I guess I will give you 1 final extra prediction (or, in actuallity, wishful thought) for this set. Wishful Thought: Masters 25 will contain Fanatic of Xenagos! This Boi is probably the best uncommon from BNG IMO. I don't think wotc will do this since their current reprint policy in masters sets requires them to have 3 cards with a mechanic for it to see print in the set, but I think that would be really hard to do in a set containing cards from every set. Maybe, come March 16th, we will see these bois staring us down in our masters 25 packs. What do you think about this set? Do you have any predictions about Masters 25? Share your thoughts below! Tribute is a fantastic mechanic. @Faiths_Guide I agree! I feel Wotc's execution on it sucked, however. 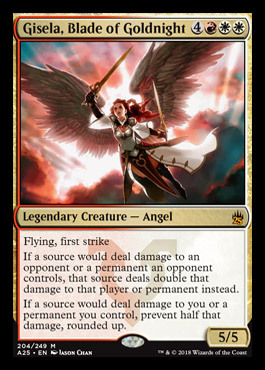 I think the problem with tribute in this set would be twofold. 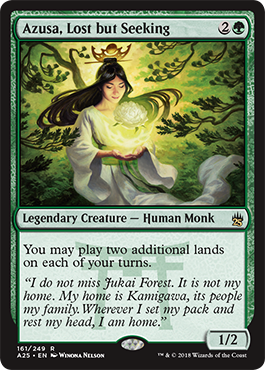 1: While tribute is a cool mechanic, most of the individual tribute cards are borderline at best. This is the only tribute card that could be considered good, at least from a competitive standpoint. 2: The only cards with tribute are in Born of the Gods. This is an issue if WOTC wants to fit in cards from every set because they can only fit 2-4 cards from a set into A25. 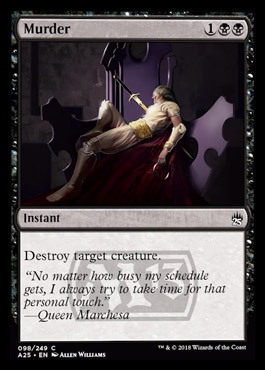 That would mean all of the BNG slots would be "wasted" on tribute cards, ignoring some of the actually impactful stuff like Bile Blight and (maybe) Xenegos, God of Revels. @TezzeretofCarmot21 I think Azusa is a case of high demand, low supply. Lots of people want Azusas, but there just are not many out there. Take a look at Zur The Enchanter's price graph. Zur lost about %85 of his value after he got reprinted in MM2017. Once the supply meets the demand, which appears to be mostly driven by commander like Zur's, I think Azusa will be about 5-10 dollars like she was back in 2012. 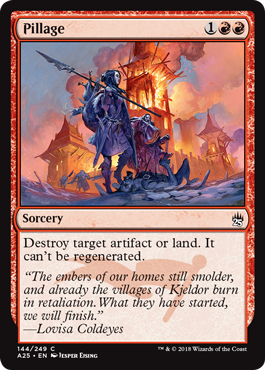 I hope this isn't like Modern Masters 2015 where they showed all the cool stuff early, and then it sort of sunk in as... oh. @KrampisZman I'm praying the price will drop like a rock! I need one for my uber-Timmy deck. Also, how much are the packs? 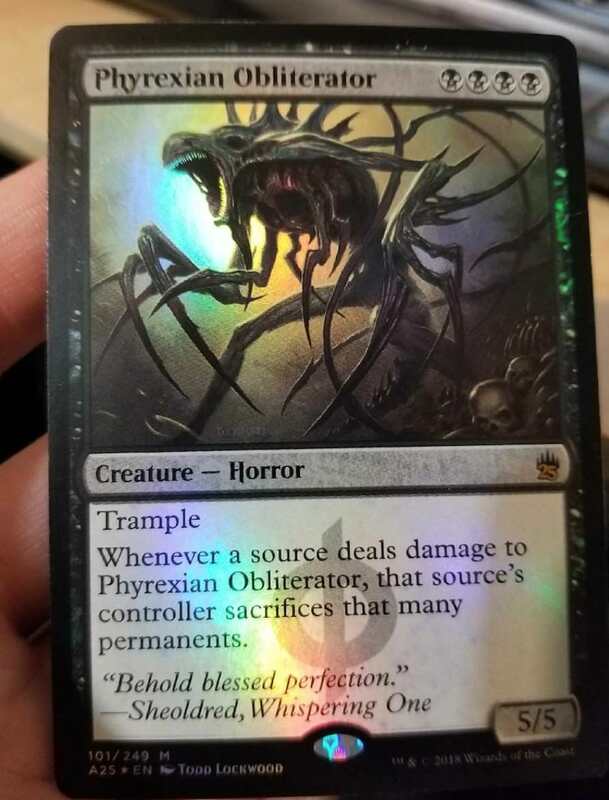 I want to be able to buy one to get my chance at a Jace, a Phyrexian Obliterator (newly spoiled!) or an Azusa. @Tezzeretofcarmot21 10 bucks a pack. Buy the singles you need! Also, here is the Obliterator @TezzeretofCarmot21 was talking about. Note that the watermark is the New Phyrexia Set Symbol and not the Phyrexian faction watermark. That’s a weird new phyrexia symbol. It’s more clean cut, as opposed to looking like it was scratched into stone. I second @Lujikul on that. There's something too regular and smooth about it. The New Phyrexia set symbol was just like that. He even made a point that it wasn't the faction symbol, which you are talking about. @Lujikul @KalamMekhar As I and @NokiSkaur have pointed out, that is the New Phyrexia set symbol, not the Phyrexian Faction watermark. I think we might see Gray Merchant of Asphodel in this set based off of the presence of Obliterator. What do you think? The (possible) return of Gary? Hooray!!! @NokiSkaur Theros was one of my first Magic sets after coming/returning to the game. I have fond memories of it and the rest of its block. Devotion coming back would be sweet IMO. I started collecting during Return to Ravnica, and my favourite block has probably been Theros. Gary was always one of my favourite commons. If Grey Merchant makes an appearance, then it’s gonna be a strange draft set in my opinion, especially if the “four cards from each set” idea was true, because it would make a reasonable draft difficult, and would be very wonky with the rares/mythic. Also, not noticing that it was the set symbol, not the watermark, is my mistake. Anyone who was around during odessy remember this guy? Well, I wasn't, so I don't XD. Drake Haven and Archfiend of Ifnir. 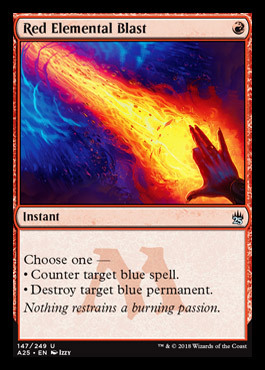 I have been trying WOTC's strategy of including "signpost uncommons" (multicolor cards that signal an archetype) recently with great effect. Our Toothy boi on top has been filling that role quite well for this deck. Now, seeing as to cycling is one of the most beloved mechanics of all time, I think it makes sense for tog' to be the centerpiece of a discard matters deck. If we have Dr. Teeth, rarity-shifted Drake Haven and Oona's Prowler in the set as uncommons, a rare Archfiend of Ifnir, and some nice cyclers like Miscalculation, we have the start of a real archetype here! 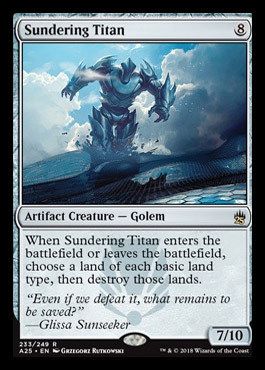 This also allows some nice bleed-in to a madness deck or other graveyard strategies if WOTC so desires, and it would be a perfect marriage between some of the most fun new cards and the titans of an era. Combine this with the fact that the Toothster has some online-exclusive (but creepy) art from vintage masters, and I think we have a real winner here! What are your thoughts here before spoilers start tomorrow? Also, We have a Murder Spoiler. I was right about cards originally from core sets being here! See you when previews officially start! I am really proud of myself for using different names every single time I mention Toothy mc. Tooth Face up there. We have some new previews! ...And a card making good use of it! ...and a great rare from Dark Ascension that I want for my cube. ...And the blasts with New Art! 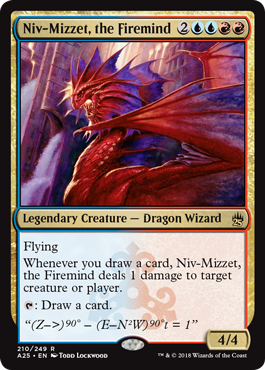 Finally, we have Niv Mizzet with his Original Flavor Text!!!!! Overall, a pretty mediocre start to previews from a value standpoint. I'm glad Thalia and Chalice got a reprint, but none of these cards feel particularly nostalgic for me. I'm still hoping for our Toothy Friend and Gary to get a reprint, cards that I either like or find nostalgic. Knowing WOTC the Theros block "nostalgia" card will be Ashen Rider or some other dumb card no one plays. Hey! A card that's actually nostalgic for people who don't play EDH or weren't around in the early 90's! Somewhat OK job Wizards! 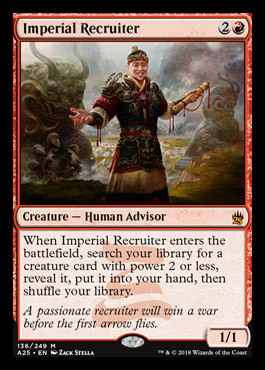 Imperial Recruiter and Sundering Titan! Move over Jace, this set has a new chase mythic! @NokiSkaur Bum Bum Dum Bum Dummmmmmmm. @KrampisZman: so now that the full set is spoiled, what do you feel is the biggest snub? 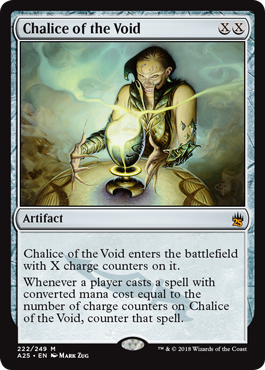 Personally, I'm unhappy not to see Tutor, LotV, FoW, Astral Slide, and (most of all) Ad Nauseam. Maybe even Snappy. Also, I know everyone is pissed about Tree of Redemption, but has anyone noticed that there is Colossal Dreadmaw in this??? I mean, why? Haven't they printed enough Dreadmaws? Tree of redemption was in their the counteract the value other cards in the set held. The reason Colossal Dreadmaw is in it is that every set in existence gets two cards to put in Masters 25. @KalamMekhar This set is so close to being great it's not funny. Here is each card I wanted to see reprinted and what card in the set it should replace. Keep in mind that I am trying to follow WOTC's "3 of a card with a mechanic" rule, meaning that I can't just add random cards with a mechanic without giving it buddies. Also, I am replacing cards of one color and rarity with cards that I would like to appear at that same color and rarity. Changing these 12 cards would have taken this set from ok to pretty good in my opinion. I wasn't going to add the gatekeeper or the Terra Ravager, but there were each only one card from commander 2013 and Weatherlight and I replaced them both. Honestly, this set would be amazing at $7 a pack like the original Modern Masters, but the value just isn't here at $10 a pack. 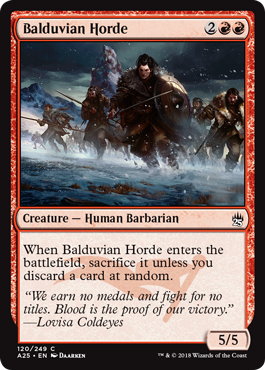 I think the set looks fun to draft, but I wish we had a cycling payoff in addition to Horror of the Broken Lands. It looks like there is a deck using freed from the real, so that's fun. 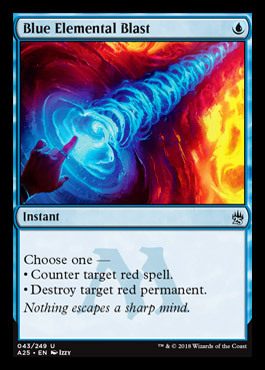 Also, there is a turn 2 infinite mana combo in here using Utopia Sprawl, Arbor Elf, and Freed from the Real. @Tigersol What value? There isn't enough value here to sabotage a mythic slot with a not only worthless, but Useless card. This set ended up being a bit of a dud like Iconic masters. The funny thing is, if they had all the value cards from this set and Iconic masters in one set, it would be a really good value. I am starting to think they split an incomplete masters set to be released this spring into Masters 25 and Iconic masters, but they forgot to add good reprints into the offspring sets. Wait... I just realized that STORM CROW ISN'T IN THIS SET!!!!!!!!!!!!!!! @Tigersol It's like, how is Murder of Crows more nostalgic than Storm Crow? No Storm Crow is a travesty. Surely they must know how much that card means to the community.